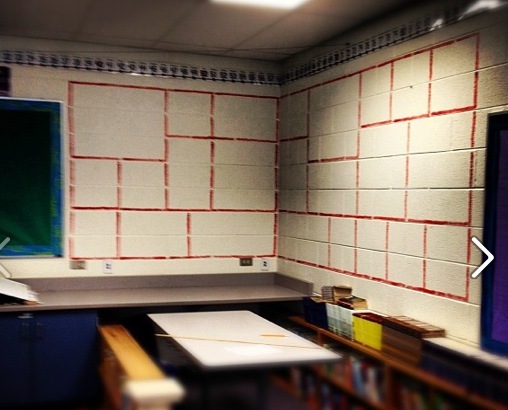 Get ready, I’m about to talk about one of the most dreaded current literacy tools: the word wall. 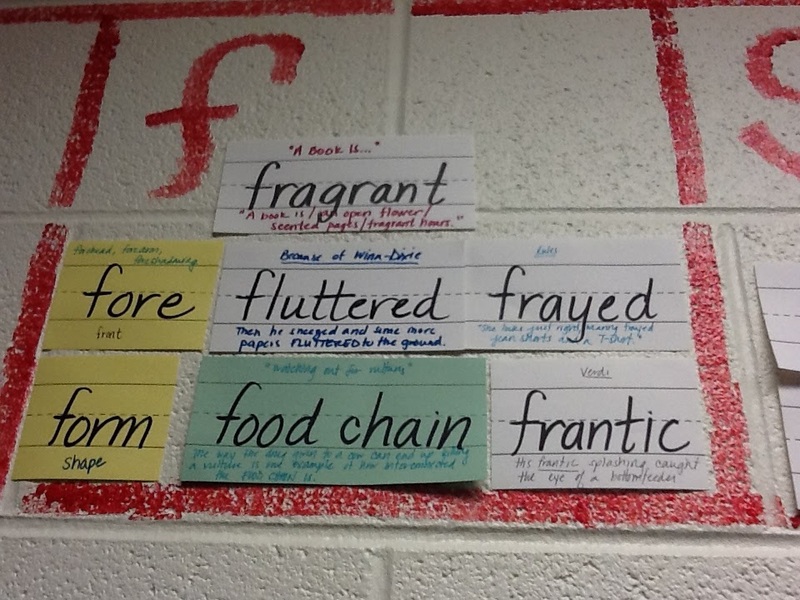 When I started teaching, I tried making a word wall many times, and it always seemed to fail. In addition, everyone I talked to seemed to roll their eyes when I mentioned the mere idea of a word wall. I’ll admit, it is a bit silly, a wall of words for kids to memorize, but it is so much more than that. In fact, it isn’t just a wall of words to memorize. Instead, it is a dynamic and powerful resource, one that I am confident has helped to build my students’ vocabulary tremendously over the past two years (and mine, I’ll add). At first, I’ll admit that it did not work for me, and it will not work if you fail to use it in a way that integrates it seamlessly into the classroom. Here are a few ways to achieve that. These ways have worked well for me! 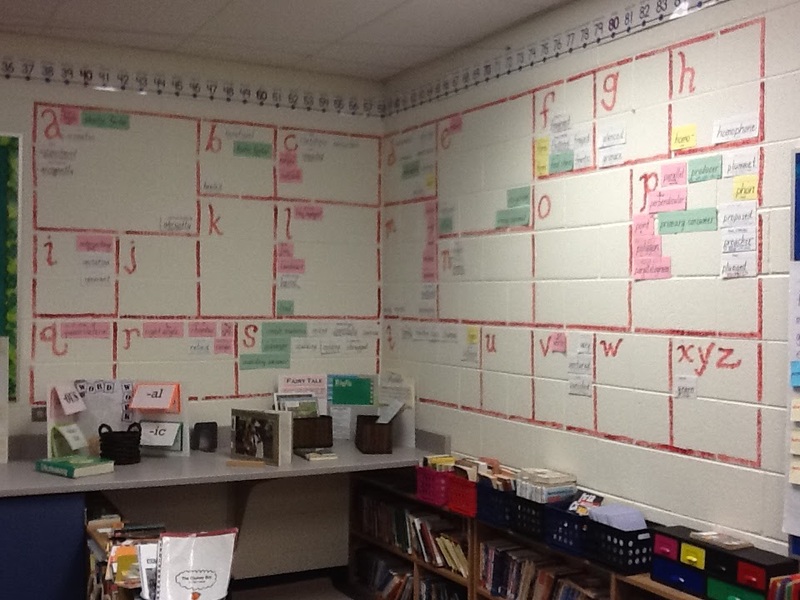 In primary classrooms, many teachers begin the year by putting all of the students’ names on the Word Wall. While that is an authentic way for primary students to do break the word wall in, I can only imagine that intermediate students would find that rather silly. Instead, I choose to begin exposing my students to the word wall by discussing my passion for words and finding words that we could use in our writing easily. Oftentimes, these words are words that I feel certain they already know. This way, I am able to reduce the amount of stress, by making them see they already have a strong vocabulary, and that the goal was to begin integrating it into writing. In my opinion, this was purposeful, related to the curriculum, but still relatively risk-free for them. As the year progresses, I slowly integrate more difficult Tier II words–words that show up frequently in intermediate texts, that help to make writing more vivid or descriptive. Conveniently, students are also able to use these words later in their writing, but I try to choose words that I believe they do not already know, which slowly increases the rigor. However, I do not simply choose these words at random. I begin by centering in on my learning target. Then, of course, I choose the text, and then the vocabulary. By selecting vocabulary that I find within each text, I am able to “anchor” the vocabulary into a story or text that we’ve read together. This helps to make the experience more authentic, as it gives them a concrete experience to ground the word in. 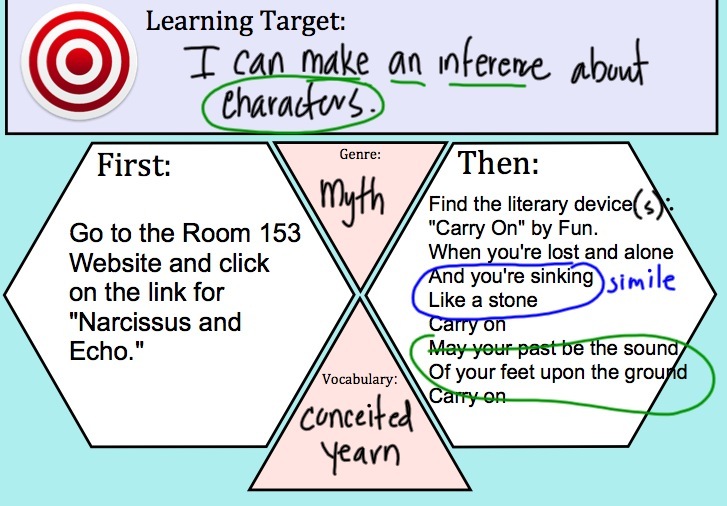 At the beginning of the lesson, I post the learning target, as well as the words that the students are expected to find each day. During the lesson, the students are expected to clap upon hearing the word. This not only helps to preview the lesson, but it helps to keep them engaged, as they love being the first one to clap once the word has been found. After, of course, we go through a variety of strategies to help define the word (i.e., context clues, breaking the word down, using a thesaurus). We are at an excellent place right now–a very exciting time in the year. At this point in the year, the students have been swimming around enough in these words and our word learning routines a great deal, to the point that we are able to make the learning much richer. Because we have so many words on our word wall, I am able to integrate them into games, activities, and centers. In addition, we have more examples of words with commonly identified word parts (prefixes, suffixes, root words). Because they all have common experiences behind these words, and because they are grounded in authentic literacy experiences, this has made teaching prefixes, root words, and suffixes much more authentic and purposeful. Instead of sorting words through visual cues, we are able to take the words we have already learned, and find similarities and patterns within them when finding new words Then, we are able to use these word parts when problem-solving through hard words. I am happy to say my passion for words has spread like a contagious disease. I frequently receive e-mails from students finding new words, and my literacy lessons are constantly interrupted (in the best way possible) by clapping and exclamatory remarks because they recognize -ous or a word from the word wall that has shown up again. I think I have my word wall to thank for my students’ genuine interest and passion for word learning. If you’re enjoying reading, please “like” or follow below. I would welcome questions and comments, as well! Thanks for reading!